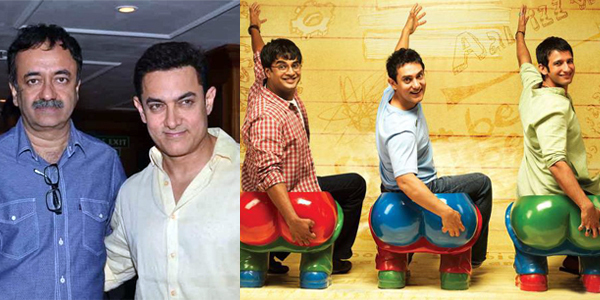 Raaga.com: Sequel of Aamir Khan’s 3 IDIOTS on its way! Though Aamir Khan and filmmaker Rajkumar Hirani’s film PK has broken all box office records and has emerged as ‘All time Blockbuster’ by amassing a whopping Rs. 340 cr in India and overall collections Rs 564.69 cr. in overseas yet it is the duo’s 3 IDIOT (2009) that is more arresting in content and a favorite of the film buffs. Since long speculations have been running high about a sequel to 3 IDIOTS and now Aamir Khan has spilled the beans that both Hirani and screenwriter Abhijat Joshi are working on it. Confirming the truth about the sequel writer Abhijat Joshi, who is a permanent fixture with filmmaker Rajkumar Hirani and Vidhu Vinod Chopra film production, had long back confirmed that he has a plot for 3 Idiots sequel. With Aamir Khan engaged with his upcoming film DANGAL, we have to wait but don’t lose heart we will surely get 3 IDIOTS- part 2 to watch in near future!